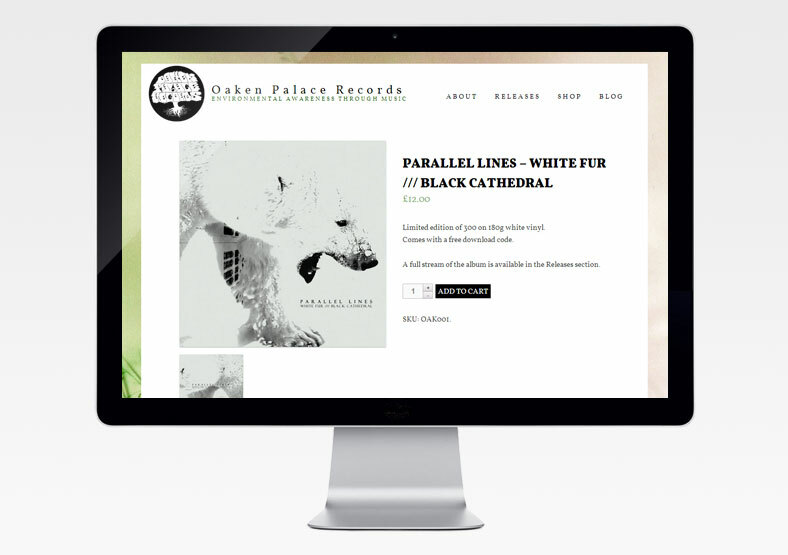 Oaken Palace Records is a charitable record label which uses all its profits to support various environmental organisations in the UK and abroad. It provides a platform for unknown artists and bands who aim to express their personal connection with nature through their music. 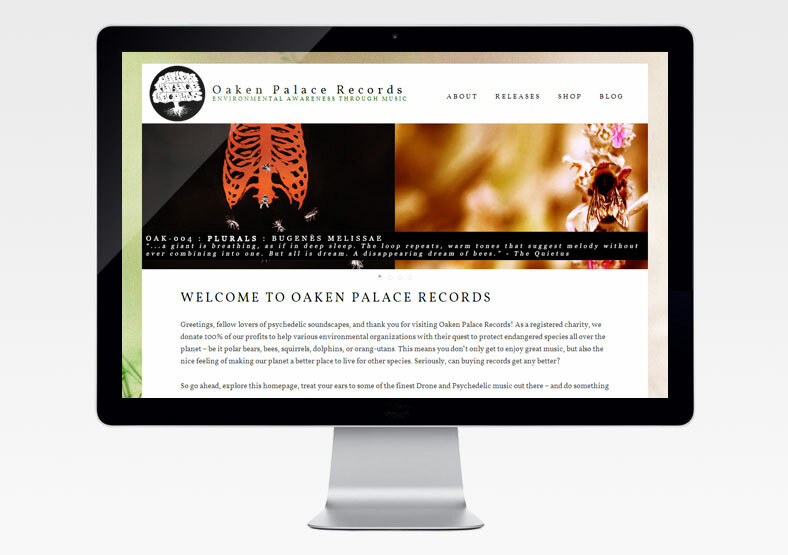 The original Oaken Palace website consisted of a WordPress blog for news, a Bigcartel shop for physical records, and a Bandcamp site for digital downloads and streaming. 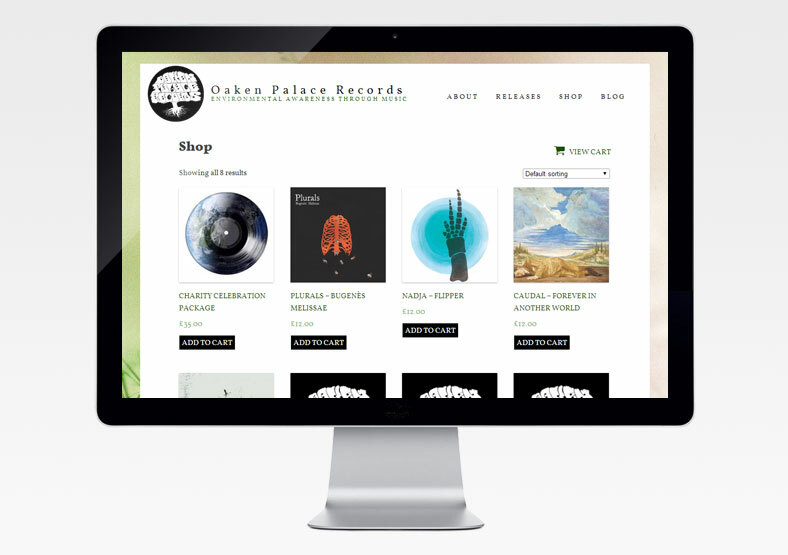 We combined this to create one central WordPress site for information and news, and a shop selling physical copies of albums and digital downloads. We added a slideshow and strengthened the focus on the home page, to make the label's vision and charitable status immediately obvious. The use of a home page slideshow adds to the dynamism and interest. We also made the site responsive, so it can be viewed equally well on desktops, laptops, tablets and smartphones.